We believe so much in the value of experience and education, that we're looking forward to expanding our events & workshops! Would you like to be notified of upcoming events? Click the "Notify Me" button, quickly provide your contact info & we'll be in touch! Thanks for your interest in our events! We'll notify you as we add them to our calendar. 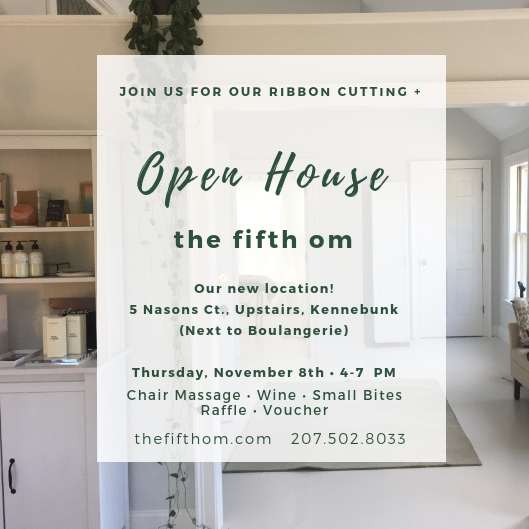 Join us as we celebrate the grand opening of our new location! Small bites, wine, herb-infused water… We’ll be raffling off a complimentary treatment of choice + all guests will receive a voucher for 15% off your next service! 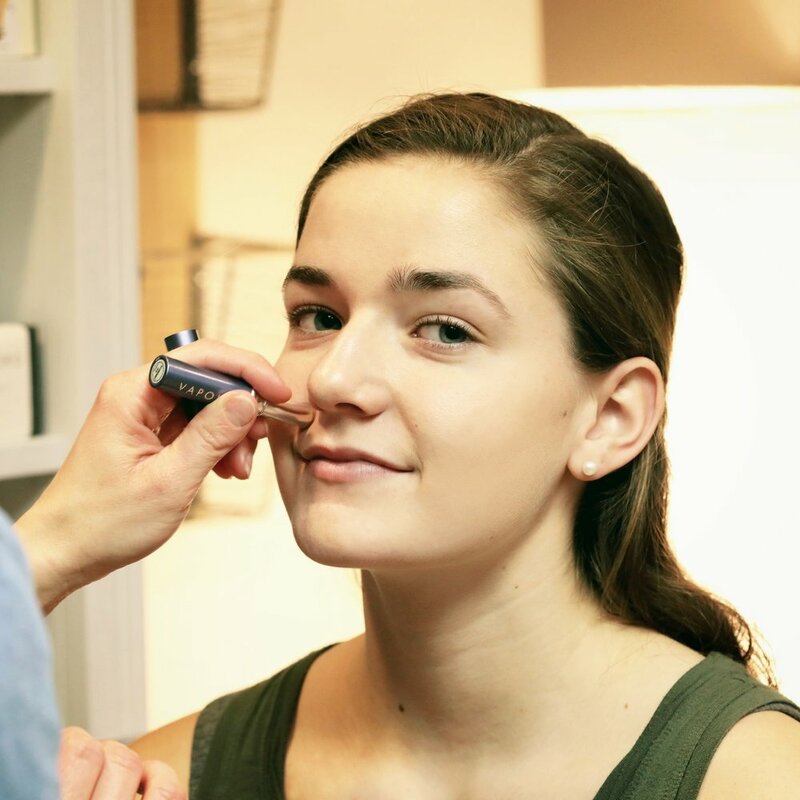 Offering in-studio makeup applications using the award-winning performance organic beauty line Vapour Organic Beauty. Whether you are looking for a natural, glowing look, or something more dramatic, we can accommodate. This Earth Day, join Michele & Farmaesthetics for a special event at the beautiful landscape design and specialty garden decor, furniture, & artisanal product destination, terrain. We'll be in the spa all afternoon offering refreshing Farmaesthetics mini facials featuring new spring products alongside cult favorites. Reservations are required. $10 per person. To reserve your appointment, contact dstulb@shopterrain.com. Planning to celebrate Valentine's Day early with a date night or Girls Night Out? Pop in for a complimentary mini makeover before you head out! We'll be using the lovely Vapour Organic Beauty line + featuring a couple new shades we've recently brought in & are LOVING. To book your appointment, feel free to use the button below or to give us a call. Sip & Shop - Mini Massages + Gifts with Purchases! Shop a curated selection of natural & organic beauty products & services, enjoy champagne, complimentary mini massages, gifts with purchases & more! Plus, did you know that we are always prepared for makeup & skincare consultations? We're trained & licensed professionals who love to talk shop. Won't you join us? Prelude Weekend #1 - Gifts with Purchases! There are so many fun happenings in our community this weekend, and we're busy planning some special events for later this month (details to come! ), BUT we couldn't let the weekend go by without honoring the beautiful Prelude tradition here in the Kennebunks. Pop in anytime Saturday, December 3rd, & receive a gift with all purchases of $50 or more. And stay tuned for details on our events this month! mini Makeovers, Hand Restoration Treatments + More! Mini makeovers with the beautiful natural makeup line, Vapour Organic Beauty. Non toxic, hypoallergenic, and appropriate for all skin types & undertones. Farmaesthetics® Hand Restoration Treatments with the super softening, moisturizing & seasonal Hot Toddy for the Body Scrub. A favorite amongst shoppers where Michele has joined Farmaesthetics® on numerous occasions to offer these treatments, e.g. Saks Fifth Avenue, Spa Nordstrom, terrain, Whole Foods Market…. …and yes, the discounts apply to gift certificates too! Of course, we’ll have morning mimosas (regular & mock! ), and later, cookies, tea, and the like. Walk-ins & appointments are welcome. Hope to see you! Mini Facials + Complimentary upgrades!